OAKLAND, Calif. — The Big Three has faded. The Terrific Two is gone. 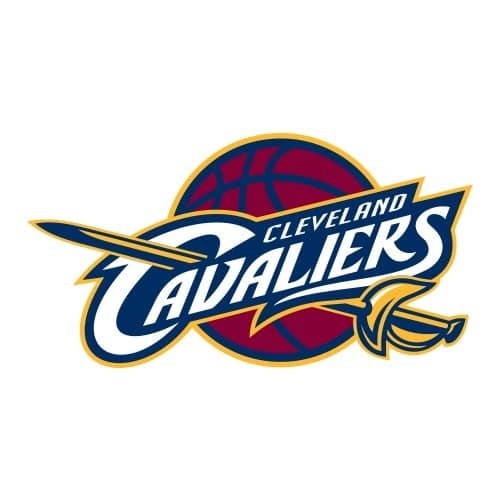 And the Cleveland Cavaliers are still heading home with the NBA Finals knotted up at a game apiece. All thanks to the Chosen One — and his scrappy teammate from Down Under. LeBron James turned in a triple-double to remember, Matthew Dellavedova made the go-ahead free throws in overtime, and the Cavaliers overcame a fourth-quarter collapse to outlast the Golden State Warriors 95-93 on Sunday night. James finished with 39 points, 16 rebounds and 11 assists in 50 minutes, carrying Cleveland’s depleted roster to victory on the NBA’s toughest home floor. The Warriors had been 47-3 at ear-piercing Oracle Arena. It was the second straight overtime game, and one the Cavs never should’ve let go so far. After James’ made the free throw, Curry, without a timeout, raced up court and tried to pass ahead to Klay Thompson. But Iman Shumpert batted the ball away to seal Cleveland’s win. James waved his arms and pounded his chest near center court. He shook hands and hugged teammates emphatically as most of the fans — wearing those bright, golden yellow shirts — filed out of the arena. “When we defend like we did tonight, we’re going to give ourselves a chance to beat any team in this world,” James said. It was a pivotal point for the Cavs, who won their first finals game in franchise history. They were swept by the Spurs in their only other appearance in 2007, when James was just growing into the planet’s best player. Now that’s one thing the Cavs won’t have to overcome. Cavs coach David Blatt went with the same lineup that won Games 2 and 3 of the Eastern Conference finals when Irving was out with an injured knee. He started Dellavedova in Irving’s place, and the scrappy Australian corralled Curry as much as anybody has this season. Curry scored 19 points and shot 5 of 23 from the floor, including 2 of 15 from 3-point range. “Shots I normally make, I knew as soon as they left my hands they were off,” Curry said. Klay Thompson tried to pick up the backcourt slack, scoring 34 points. But The Warriors went 8 for 35 from long range and shot 39.8 percent overall. The Cavs, who shot 32.7 percent, outrebounded the Warriors 55 to 45 — but nearly wilted late. James dropped to a knee near the baseline and walked gingerly to the bench, where he sat with his head down before returning to make both free throws. He seemed to deliver the dagger with a pull-up 3-pointer to extend the Cavs’ lead to 83-72 with 3:13 to play in the fourth quarter. He stopped and turned to Cleveland’s bench, taking out his mouthpiece and staring at the stunned and silent crowd. Curry broke his 18-minute scoring drought with a 3-pointer during the Warriors’ furious rally, which he finished with a tying finger-roll with 7.2 seconds remaining. Cleveland called timeout, and got James the ball isolated on Andre Iguodala at the top of the key. James drove hard to his left and his layup rimmed out, and Tristan Thompson’s tip missed to send the game to overtime.